2.6 billion people worldwide use email. 91% use this channel at least daily. 89% of marketers said that email was their primary channel for lead generation. 58% of online users first check of the day is email vs. 11% checking Facebook. 44% of users check email for a deal from a company they know vs. only 4% on social media. It boosts your social media following. It connects you to your customers and perspective customers. It shows your expertise on the products and services you offer. One Goal: Why am I writing it? What am I hoping to achieve? What is the best way to get to that goal? Answer these questions, and your goal has been accomplished. Simple: Clarity over creativity will win in the long run. Use concise and understandable vocabulary to ensure readability. Compelling Story: Offer something unique and newsworthy, sometimes in the form of a story relating to your business and its new offerings. This will generate interest in your e-newsletter, and in turn will send your readers to your website for more information. 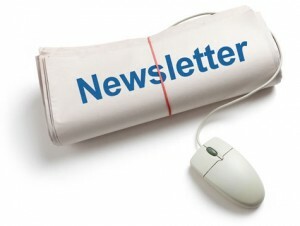 Now that you know the basics of creating your e-newsletter, you need to optimize it. 1. 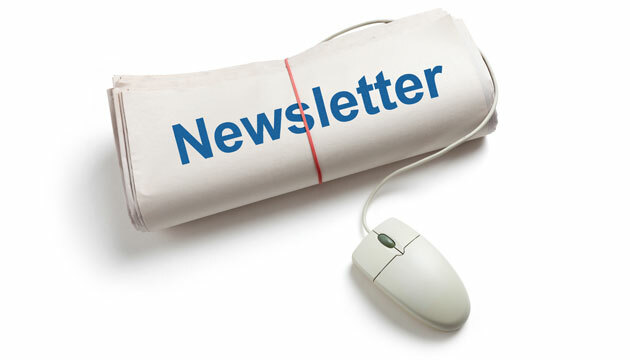 When Should I Send My E-newsletter? 58% of people check their email first thing in the morning, even before brushing their teeth! Studies in the past have shown 6 a.m. is the best time to send your e-newsletter. But the truth is, there is no magic number when it comes to the timing of an e-newsletter. Statistics vary for many reasons, one reason being the device that is used to open an email. For instance, smartphones are primarily morning, desktops are midday and tablets are evening. As far as what day is best, according to data from Mailchimp, one of the leading email marketing services, Tuesdays have performed the best, however, there is other data to show weekends are optimal. What you really need to know is…your audience. Who are you sending to, and what are their behavior patterns and routines? Are your readers busy entrepreneurs who want to check their email over lunch, or small business owners who get home late? Is your content work related? Or is it for leisure time? You should adjust your email timing to better meet your audience’s needs and fit within their schedules. 2. What Should My Subject Line Say? First, you should keep your subject line length to a 50 character minimum (see more below under #7 “Mobile-Friendly”). Your subject line should be honest and to the point, while being catchy and professional. Arouse curiosity, or create a sense of urgency and exclusivity. Some highly effective words used in email subject lines are “alert,” “news,” “update,” “thanks,” “new” and “free.” Use buzzwords specific to your industry to tell your subscribers what they need to know. Always put the most important words at the beginning of your subject line. 3. How Should My E-Newsletter Look? 65% of users prefer emails to contain mostly images, compared to 35% who prefer text. There’s also a benefit to having white space. White space improves reading speed and comprehension. It takes away the cluttered feel and makes it easier for users to click where they want. That being said, not all white space is white. It’s also called “negative space,” so this area can be a solid color or texture that does not include other elements. 4. Where Does the Most Important Content Go? The top two inches of your e-newsletter template should have engaging and visually formatted text. This space is where you convince your subscriber to continue reading. If you choose to use an image in this space, be sure to have a “clickable” caption. Image captions are one of the most well-read pieces of content. 5. Do I Include a Call-to-Action? Have one primary call-to-action. Your e-newsletter should focus on one main thing you want your subscriber to do, whether it’s to read your blog, share your email with a friend or on social media, etc. Instead of your call-to-action being in the form of a text link, use buttons where possible. Including a call-to-action button instead of a text link can increase conversion rates by as much as 28%. The recommended sizing for buttons is 44 x 44 pixels. 6. Should I Send a Welcome Email? The importance of a welcome email is that you’re getting to your subscriber when they’re most engaged which is the first few weeks after signing up for your e-newsletter. Right now there’s a certain level of interest in your brand and they want to hear more from you. Here’s where you can reaffirm your new subscriber that they’ve made the right decision. You can set expectations and even throw out an incentive. And, if you’ve captured a phone number, feel free to make a quick call to welcome them as well. 7. Is Mobile-Friendly That Important? Important is not the word, crucial is more like it… Emails not optimized for mobile devices get deleted by over 80% of users and 3 out of 10 users unsubscribe from the list if the emails are not mobile optimized. Based on those statistics, your e-newsletter NEEDS to be responsive and designed with a mobile device in mind. The shorter the subject line, the better. Most mobile devices cut off subject lines between 32 and 40 characters. Headline sizing should be at least 22 pt. to make it easier to view and scroll to the following section. 8. How Can I Increase Click-Through Rates? Adding social sharing buttons increases click-through rates by 158% compared to emails without it. Not only that, but it promotes viral brand marketing and boosts search engine optimization (SEO). Along with adding social sharing buttons, you should also incorporate buttons to your social networks and encourage your readers to join. 9. Should I Send Test Emails? Last, but certainly not least, yes, send test emails. This enables you to see what really works, because not all audiences are the same. Surveying your subscribers is a great way to find out when and how often they want to hear from you. You can also test your images to see which ones are having a greater effect on engagement. Now that you’ve mastered your suntan, it’s time to get in touch with your customers and master your e-newsletter. If you’re enjoying your summer too much and don’t have the time to put your e-newsletter to work, we’re here to help! 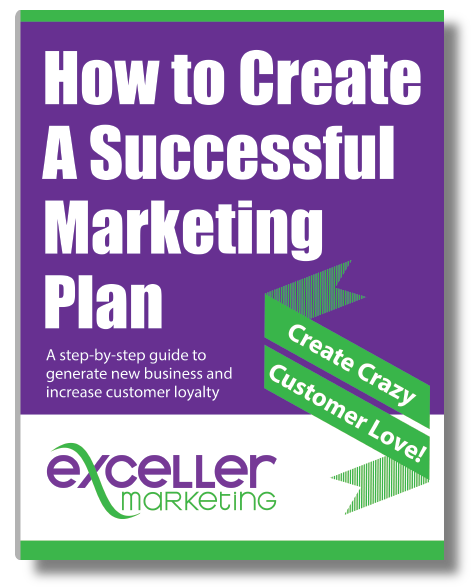 Turn to the experts and partner with Exceller Marketing. 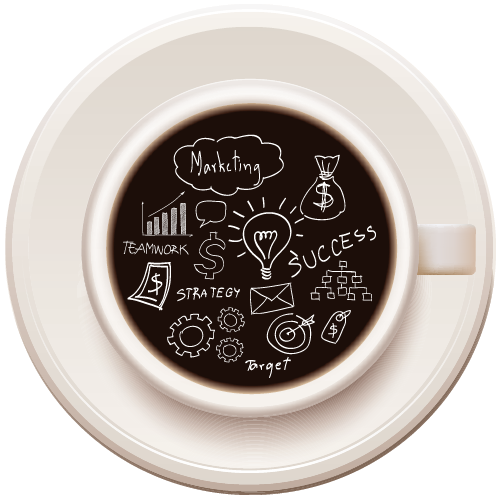 We’ll help to create and launch a first-rate, engaging e-newsletter for your audience. Feel free to contact us for more information, as well as a FREE E-newsletter Marketing Consultation.